YouTuber ぎわちん。 reviews the Toho 30cm Series Yuji Sakai Modeling Collection Godzilla 1989 “Osaka Landing” Closed Mouth Ver. RIC Exclusive vinyl figure site by X-Plus. 東宝30cmシリーズ 酒井ゆうじ造形コレクション ゴジラ(1989) 第四種警戒体制『大阪上陸』口閉じVer. This RIC version came with a light gimmick and a mini Super X2. 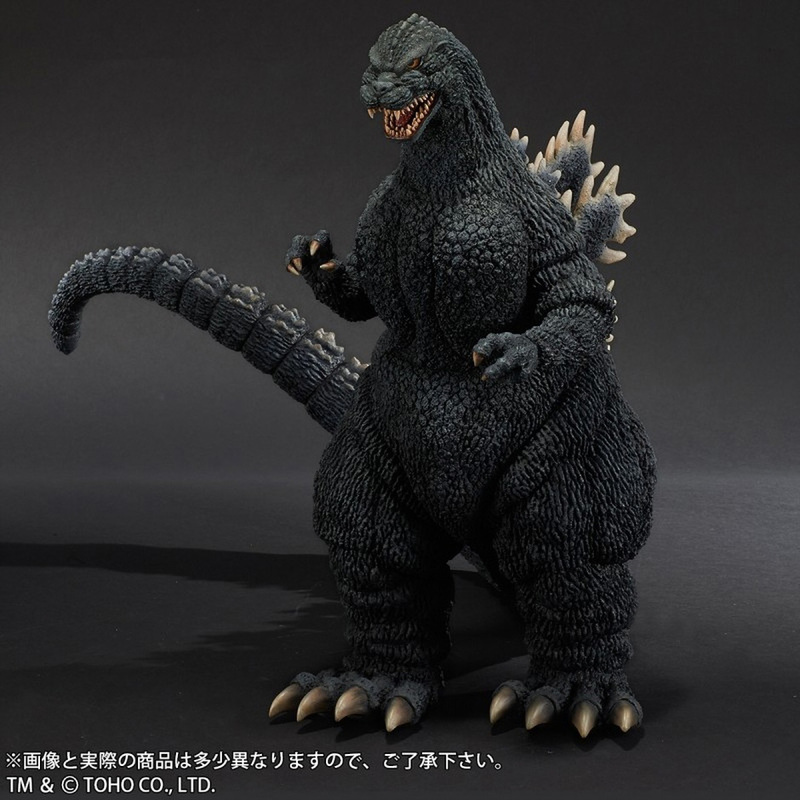 The Gigantic Series Godzilla 1989 vinyl figure by X-Plus is now up for Preorder. It will be available as both Standard and Ric Exclusive versions. 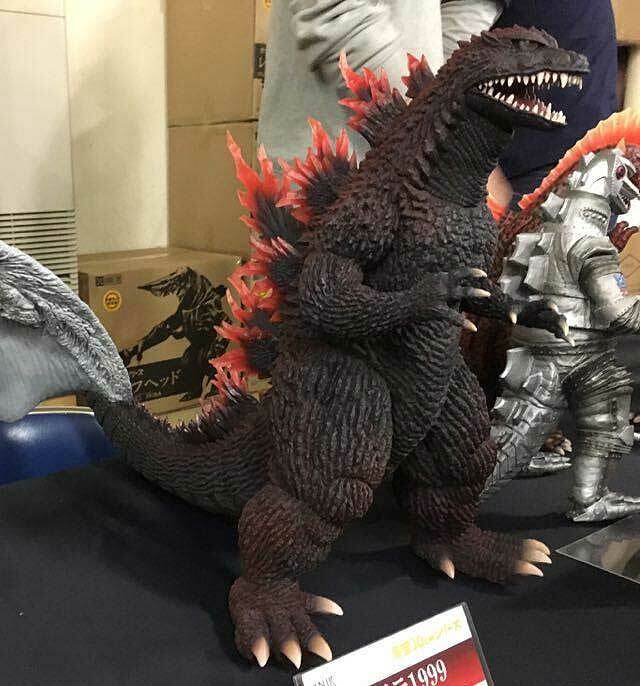 X-Plus reports that this behemoth of a vinyl will be 52cm (20.4 inches) tall and features Godzilla as he appeared in the 1989 film Godzilla vs. Biollante. SuperGhidorah reviews the 30cm Series Yuji Sakai Modeling Collection Godzilla 1989 Osaka Landing Version vinyl figure by X-Plus. 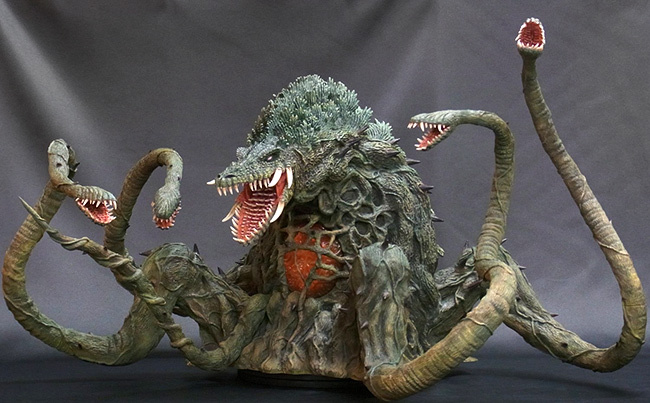 Super Unimportant Reviews unboxes and then reviews the Toho Large Monster Series Biollante North American (Diamond) Reissue vinyl figure by X-Plus. Matt Jacobson, a.k.a. Gojira851 unboxes and reviews the Toho 30cm Series Yuji Sakai Modeling Collection Godzilla 1989 ‘Osaka Landing’ version vinyl figure by X-Plus. William Fett, continues his new X-Plus Youtube series with Review of the Toho Large Monster Series Biollante (Bluefin North American Reissue) vinyl figure. 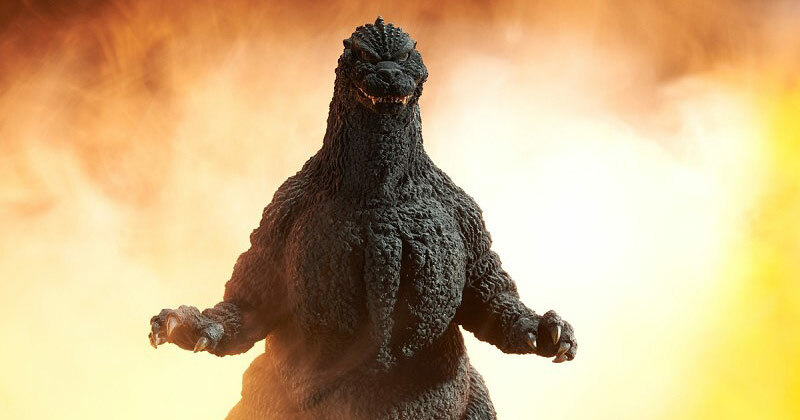 The Toho Large Monster Series Biollante North American reissue by X-Plus now has an expected arrival date of February 17, 2017. That’s when Bluefin Distribution expects to have the figures reach their warehouses. If the cargo ship hits rough weather on the high seas, we may need to add as many as two weeks to that. Please give Bluefin time to process their shipment when it arrives, and time for them to ship out to the many stores in their network. It’s possible that your Biollante will not be ready to ship to you until early March 2017. You can order a Large Monster Series Biollante from me at Flossie’s for $429.99 or from any comic shop or online store that carries products from Bluefin. — Bluefin Distribution is also handling the Gigantic Series Godzilla 1995 SDCC Exclusive and Large Monster Series King Ghidorah figures, with more releases planned. Matt Jacobson, a.k.a. Gojira851 unboxes and reviews the Toho Large Monster Series Godzilla 1989 vinyl figure by X-Plus. This is the figure you need to match up with X-Plus’ Biollante figure (coming out soon as a re-issue from Bluefin). The much coveted first entries in the Yuji Sakai Modelling Collection are up for grabs again. 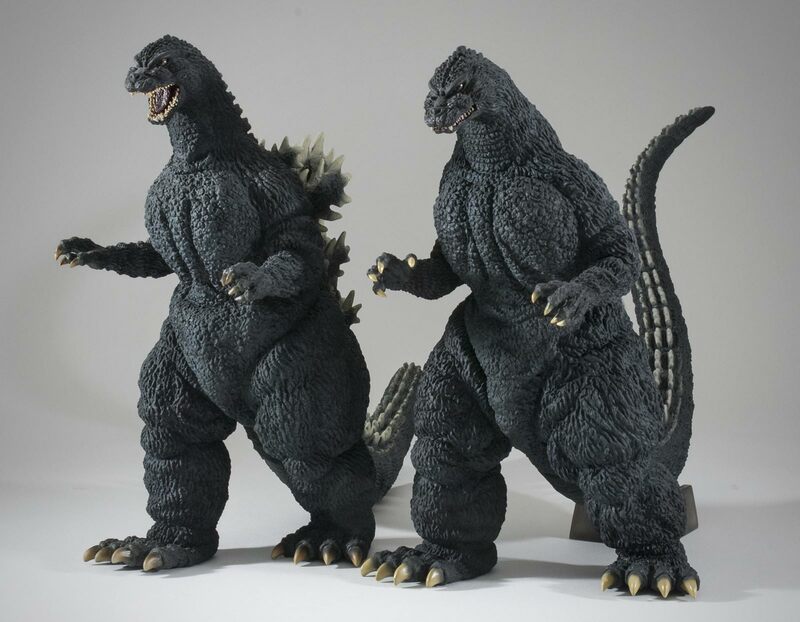 Diamond Distributors just announced the upcoming availability of the 30cm Series Yuji Sakai Godzilla 1989 and 1991 figures in the U.S. and Canada. Their price tags are a bit heavier because they’re coming from master Godzilla sculptor, Yuji Sakai. • See my Review of the 30cm Series Yuji Sakai Godzilla 1989. As usual, you can Pre-order a Diamond Re-Issue X-Plus figure and your local comic store or from online retailers. You can get both from Kaiju Addicts and Flossie’s Gifts & Collectibles (that’s our family business!) for only $194.99 each. We have a new, easy-to-remember URL to get to Flossie’s: www.GetXPlus.com. • Click here to read about the upcoming Godzilla 1984 (1985), 1992, 1999 (2000) and 2004 releases.